Five types of foreign steel will no longer face a 25 per cent surtax in Canada after the Canadian International Trade Tribunal filed a report that found inadequate evidence to justify most of the Finance Department's emergency safeguards to protect Canadian steelmakers. Five types of foreign steel will no longer face a 25 per cent surtax in Canada after the Canadian International Trade Tribunal (CITT) filed a report that found inadequate evidence to justify most of the Finance Department's emergency safeguards to protect Canadian steelmakers. The department never released a rationale for the surtax. The emergency measure allowed him to apply surtaxes first and investigate their merits later — through what the tribunal called one of the most complex inquiries it's ever done, with 119 participants submitting over 38,000 pages of evidence. "The tribunal believes that there is an important public interest issue in achieving a balanced recommendation on remedy, one that removes the threat of serious injury to the domestic producers from increased imports, while, at the same time, minimizing the costs to the Canadian economy," the panel wrote in its report Wednesday. The surtax bolstered the federal government's argument that cheap foreign steel could not find its way into the American market by using Canada as a back door. Many kinds of steel faced a 25 per cent levy in both countries. 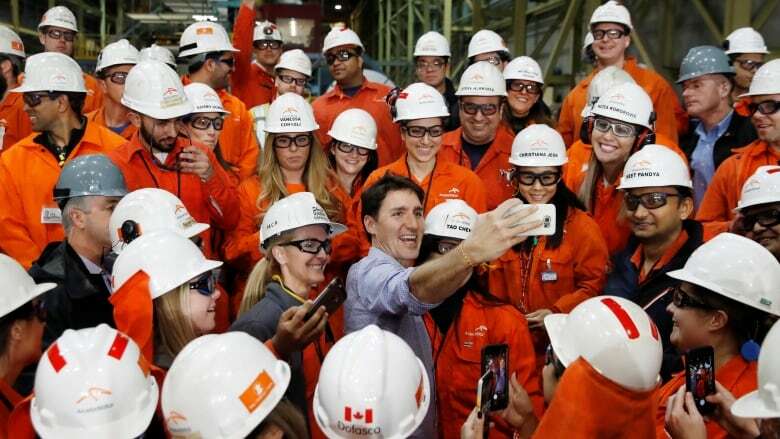 The safeguards also protected Canadian steelmakers from any sudden dumps of cheap product displaced from the U.S. by the Trump administration's recent tariffs. Morneau "moved too quickly to get the duties in place, and now he's got a little bit of egg on his face," said trade lawyer Cyndee Todgham Cherniak, who represented clients at the inquiry. "It's obvious that they were just doing what the domestic industry had asked them to do." The government could have consulted Statistics Canada import data to learn that there wasn't a case for surtaxes on those three products, she said. "There's no reason for them to have missed that part." "Our government is carefully reviewing the CITT's findings and recommendations before deciding on next steps and will respond in the coming weeks," said Morneau's spokesperson, Pierre-Olivier Herbert. "We will continue to work with affected businesses and workers in the steel, aluminum and manufacturing industries, to ensure they have the support they need." This surtax also is not applied to imports from the U.S. Those have been subject to separate retaliatory tariffs since the Trump administration's decision to slap a 25 per cent tariff on Canadian steel. Washington's reaction to Ottawa's scaling back of the surtax may be critical, as Canada tries to persuade the Trump administration to lift its "national security" tariffs. 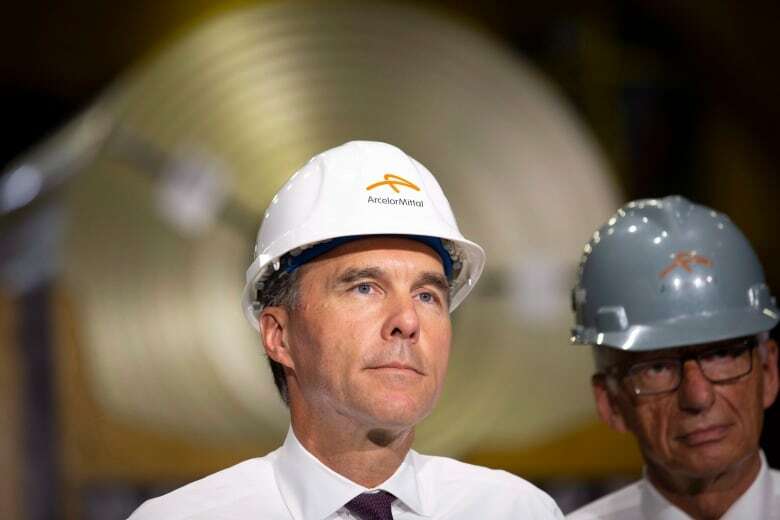 The Canadian Steel Producers Association (CSPA) warned in a statement Wednesday it was seeing "strong expectations from the U.S. government that [Canada] will take every action necessary to keep unfair steel out of North America." "We are disappointed and concerned with the tribunal's recommendations," president Catherine Cobden said in a statement. "Furthermore, the continued surge of low-priced imports and deteriorating market conditions that have persisted following the conclusion of the CITT's hearing were not considered and further supports the imposition of final safeguard measures." The CSPA said the tribunal's report is not binding on the minister and urged Morneau to "exercise his statutory authority" to keep taxing all seven products. In a statement, the head of the United Steelworkers called for the same thing, saying Morneau must "act decisively" to keep out "illegally subsidized steel from jurisdictions including China, Turkey and Vietnam." "If existing safeguards are not finalized, a surge of foreign imports will devastate Canada's steel industry and communities across the country," United Steelworkers National Director Ken Neumann said. Other countries have taken measures to protect workers, he said, and Morneau has a "moral obligation to act." The World Trade Organization's agreement on safeguards, however, obliges Canada to respect the findings of the tribunal as a quasi-judicial body. CBC News asked Morneau's office whether the minister has the authority to disregard the tribunal's advice. Herbert said "we are still in the process of analyzing the CITT recommendations" and wouldn't speculate on the next steps. "If the Canadian government were to ignore the CITT decision or report, then what does that do, on a going forward basis, for all of the anti-dumping cases?" Todgham Cherniak said. "They'd undermine every decision that they've had in the past, and our ability to use it in the future, if they ignore a tribunal report for political reasons."